Monkey Box helps teams securely manage and share all their client-related data: Passwords, Devices, Notes, Files, Services, and much more! 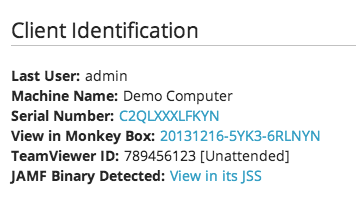 After enabling this integration, Monkey Box leverages the Watchman Monitoirng API to populating the your device list with data from the computer records in your Watchman Monitoring account. 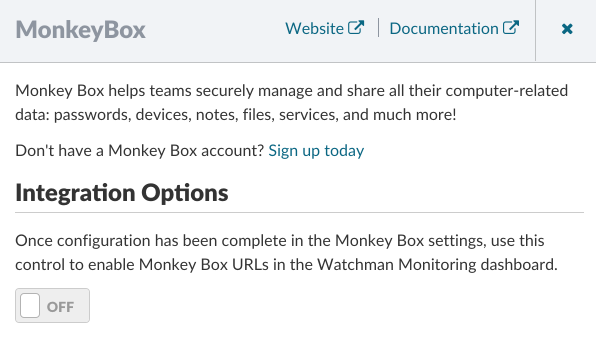 Associate the Groups defined in Watchman Monitoring with the Clients you define in Monkey Box and key data will automatically flow from the computer to your secure web-interfaces. Learn more about the progress of their integration at Monkey Box's support site.